Wow! BIG flame! Hi Meghan and all Themers! "After The Gold Rush", splendid title track and album that was apparently written as the soundtrack to a film that never came out. There is a steel set/block! Metal workers unite! @Matt von Schmeltfeldt: Did GrandPop live/work in Pennsylvania? Outside of Harrisburg, and my mom's family still lives outside of that town. Hardly any industrial jobs there anymore, and the economic base of Steelton proper is very shaky. At least the Harrisburg area has had more jobs/opportunities coming in than other Rustbelt communities around the U.S.
Mir gehts gut! Danke! Und Dir? Solid Gold set DJ Megan. Felt a metallurgy to hear the show this morning, couldn't sleep anyway. sorry you can't sleep Whooda, though I am happy you stuck around! Morning KP! "Do you expect me to talk?" I'm sitting here reading an article about Ian Fleming, suddenly this in my phones...! "No Mr. Bond I expect you to die." Shirley Bassey and the quintessential Bond song! "Baby I Love The Jesus & Mary Chain"
Some would say the quintessential Bond movie. @Meghan: Yep, it was Bethlehem Steel in Steelton--it would be great if they thought of something like casinos to build down by the river. The problem too is all those old buildings are in the floodplain, so they wouldn't build there nowadays. @CS: Indeed! My dad said that the first two Bond movies weren't promoted too heavily in the States, but Goldfinger was--his first and many others' first movie that introed them to the franchise. So, today Meghan is playing all things metallica. Can't wait. Good morning, Ms. M., and hello all. No swan dresses were harmed in the making of that song. "Fools Gold Bakery -- we do pie right!" Also, noticed your "I Beam" link up there. I remember that when I was a kid and when I was into rediscovering classic Sesame Street clips. It's the 3-note "Jaws" like riff that makes it creepy! Still not as bad as the Crack Master. Lovely vocals from Kreuzberg Museum, where are they from? Welcome back, refueled Dave B! An early Murray Head: "She Was Perfection"
Ooooh! This is the great great live version of "Copperhead Road" you've played before! This is the best version of it! Hey Meghan! Do you think you'll play Copper by Shellac? Oh Sem! Hello! I missed your greeting! Meghan you are the best, I would hug you if I could! One day I will! Is the cup of the fruit cup made of metal today? Now comes Small Faces "Tin Soldier" I guess. And the Kinks: "Tin Soldier Man"! Heh. I can't remember if I discovered John Lurie from the Lounge Lizards or his appearances in Jim Jarmusch films first. Any Tin Lizzy this set? Beverly, MA's own Mary Lou Lord. (Where I'm from too.) She once had a store in town called Retro Vixen. Mary Lou Lord is so underrated. oh man, I didn't know she was from there...... though saying Beverly made me hungry for fried clams..... JT Farnham's in Essex please! I discovered Mary Lou Lord when I found a Van Halen covers album performed by people from the Boston area. I think she spends more time in Salem now. Essex, MA...it's in another world. On my part i forgot that there is a metal called tin. If you put the keywords at AllMusic and searc for "songs", that should be the easiest way to get purposals. Oh interesting.... never used that as a resource for FINDING songs.... usually just for just record labels.... thanks Guido! That and I had over 4 hours of GOLD songs I had to get through! ha! I use iTunes "Smart Playlists" to whittle down tracks based on words in song titles. Last FM and Grooveshark are pretty good for searches too. We still have aluminum, brass, silver, ...good Lord we're never going to make it to the heavy, ferrous stuff. @KP: I like aluminium cans over bottles. My theory is that the conductive metal makes it feel colder because it draws heat from the lips. Agawam Diner...now I need to get a banana cream pie...or chocolate cream pie...or anything pie. Cambridge in the autumn -- yes! I have strong sensory memories of walking at dawn from the Mass Ave bus stop back home on Irving St. after my 3rd shift job at a biolab. Are you from Cambridge? HAWKWIND or no HAWKWIND ? Ahh! My best friend from over the decades lived in Revere during my 3 years in Cambridge. Now she lives on the UWS of Manhattan. Cool! ahhh, nice. Still have family and friends all up and around the area. Don't get back there as often as we should. Probably unlikely our paths would have crossed (since I'm at the age of everyone's mother these days it seems ;), but I did music, theater et al between the end of '74 and the end of '77 in Cambridge. Has anyone seen Pixies without a Kim? 2Kat330 Harvard Sq. must be pretty unrecognizable now. I imagine so! Is the Coop still there? Brattle St. Theater? Used to see about 6 films a week between the Orson Welles and Brattle. Hell it's almost unrecognizable to me since 1992! But yeah, I could imagine there was a huge difference from the 70's..... Yep, the Coop is still there! I think they are both still there but not much else. Remember Tasty? Back in the 70s you had a huge subway car facility where the Kennedy School of Govt. is. Lots of changes. Too young to see them other than in pictures. The Brattle is still there...not much of that other stuff. Well, I'm unsure of direction, too -- that was a looonnng time ago, with Los Angeles and Chicago in-between back in Indiana -- but I guess I mean the side closest to the Charles River? I recall some eatery behind at the back of the buildings fronting the Square. ok! That was the Tasty! All right! It was cheap, IIRC. Of course, if I was in the mood for Indian food, I'd go to Central Sq. but some of my favorite places from the 90s aren't there either. Anyone remember WCOZ, specifically the DJ Desiderio and his "Hour of the Wolf" radio program? So this is the alloy set? What's going on with Porter Sq. these days? After living in HU married housing on Irving, we lived in an attic apt. on Arlington St. below Porter Sq. Hello Meghan and everyone. Unfortunately, I'm only catching some good music between meetings. Not so much up on "new" Boston thanks to MBTA fare increases but I couldn't believe how gentrified Arlington Heights was. The coyote stole my anvil again. For what it's worth, the main page on Wikipedia today mentions Operation Tungsten - en.wikipedia.org... from WWII. If anyone wrote a song about it, you've got that element covered. @kat330 When I was going to college, they had a lot of independent drug stores and bagel shops. Most of these have been replaced by chain stores. @Ken From Hyde Park Funny but Matt From Springfield mentioned that too. Lysis (Tungsten) - off Brian Eno's "Generative Music 1"
drunk girl? I guess I missed out on a lot back then. @kat330 I work in Porter, it's pretty boring. Yeah, it was not the direction we usually traveled. Central Sq. is probably where we spent the most time. Orson Welles still up and running? I never heard of the Orson Welles..... Around my time there it was the Middle East (up and downstairs), Axis and TT's...... Hi Fi Pizza just closed down..... that was sad. How I love this song by SY! Can never go wrong with Sonic Youth! Anyone remember India Globe which is now ZuZu? Best Indian food for what was a hole in the wall. Hi Fi is closed? I haven't been to a show at the Middle East or TT's for a long, long time. Awww. A great "multiplex" of theaters. Where I caught up on every foreign / art film and classic "festivals" of WC Fields and such. Something like 50-cents to $1 for showings. Guido I might go see him at the Sonic Protest festival in Paris! Brit pronunciation of "aluminum" has always posed a conundrum -- or should I say "conundrium" -- for me. I don't believe the word is spelled differently in the UK, is it? And yet to pronounce it the way they do, it would need to be spelled "aluminium" with an extra syllable "i" in it. happy thursday meghan and peoples! this dreaded week has almost come to an end! @kat330 The British can't speak english. @C.S. : :) Far better than US in most instances. This one word is a sticking point for me though. Hey there Common! Yes, the week is almost finally done! Woohoo!! Only if he agrees to move to Fla. with us. Otherwise, keep him. This is an ironclad set indeed! You have to feed him.... though I don't know, is he allowed to live in the 55 year old community? If he gets any more grey, we can sneak him in. I miss the fun of arc welding. In high school shop class, I made a cart for Dad's oxygen-acetylene gas welder. I painted it blue. Alessia..... I recently saw that too..... I think Faye posted it.... CRAZY! kat330, the British speling, "aluminium" does indeed match the pronunciation. It matches the other -ium elements' pattern, and in this case it's the Amer. spelling & pron. that breaks the mold. @Robert: Aha! Thanks for the edifi- and edu-cation! However, the American spelling & pron. of aluminum is consistent with molybdenum. Sabrina the teenage witch+WFMU= mind blowing combo! 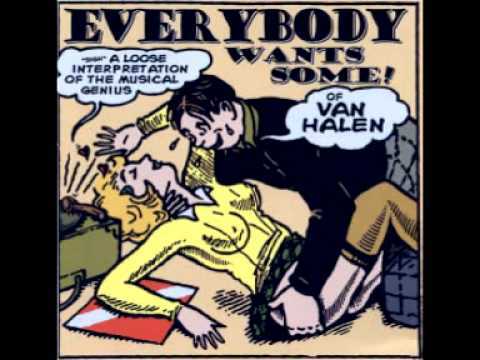 Well I remember that once Violent Femmes were the special guests for an episode... Pretty musically opinionated that witch..
Ah, 1st song I ever heard blaring out of a boom box while playing kickball as a kid...Sabbath! So, what's your favorite series of alloyed metal? What about Aluminum; there must be some songs about that? @kat330: Pewter songs would be Soft Rock. Alessia, around the same time the Adventures of Pete and Pete had Michael Stipe and Kate Pierson as guests on there a lot! Brass is cool. I just bought into my BMX childhood and gots me a 4130 series steel cruiser frame, chromed of course. @Davee: Gots to have your yin with your yang. unobtanium =used for lightweight suspension springs! pete and pete. how great was that? I have this Radio Hits on cassette! and Eludium as in my "Eludium Q-36 Explosive Space Modulator"
There IS one bronze song in my itunes (out of 32,000) ... "Bronze Cast" by the Grifters. So I caught Dark Night of the Soul and Underwater Theme Park this morning. I guess I can sleep when I'm dead. @Meghan: Just FYI, my I-net radio's image viewer still has a picture of "Dark Night of the Soul" -- great purple color! Usually it switches to Underwater Theme Park but didn't today. Hey Meghan - is Detention ever going to be reinstated? Quite an amalgam of metal music this am, Meghan. Thanks for giving a flux and welding it all into a show. See ya next time. Dark Night of the Soul and UWTP are going on the road this summer..... so if you are in Amsterdam, we should do a meet up! Sorry...I've been in & out. What's up for next week? Can't wait to loop back to Julie's show just for The Ninth Wave! come to toronto, meghan and julie. @Meghan: You hammered out a very, very fine theme program today -- kiitos! Great show. Thanks for the trip down memory lane.